FREE ESTIMATES on all repairs! Tired of buying a vacuum every year and dealing with costly repairs? Then you will want to come check out our quality made vacuums like Simplicity which are made right here in the USA. 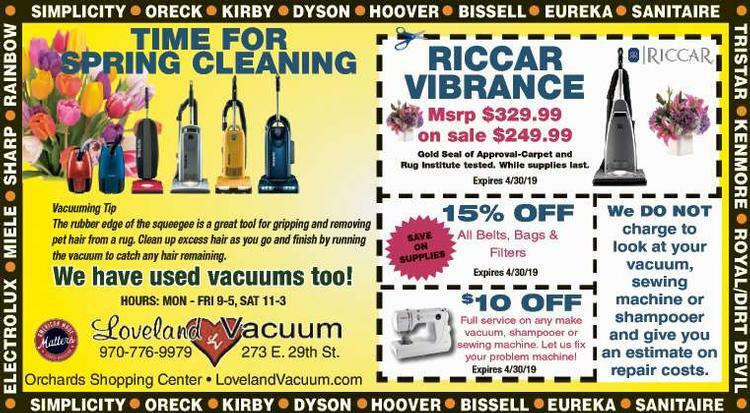 We also carry brands like Oreck, Bissell, Royal, Dirt Devil and more! 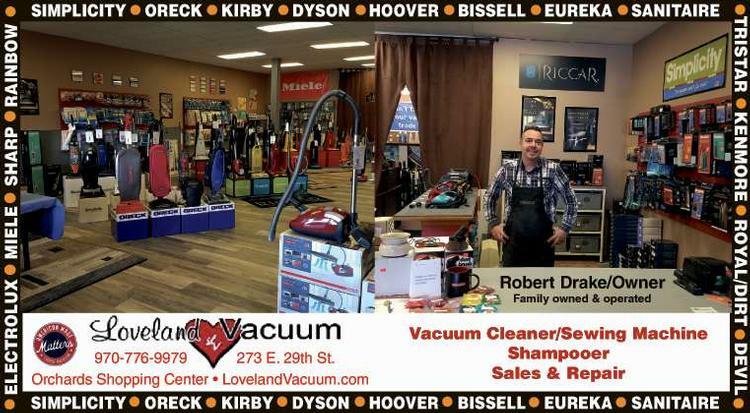 Loveland Vacuum is your local sales, service, repair and parts center for all makes of vacuums, sewing machines, and household shampooers. Come check out our family owned business and always find courteous, knowledgeable, and reliable service!